Background: In April, despite the vote against cuts by the East Sussex County Council full council meeting earlier in 2015 the County Council’s Cabinet cut bus services subsidies. 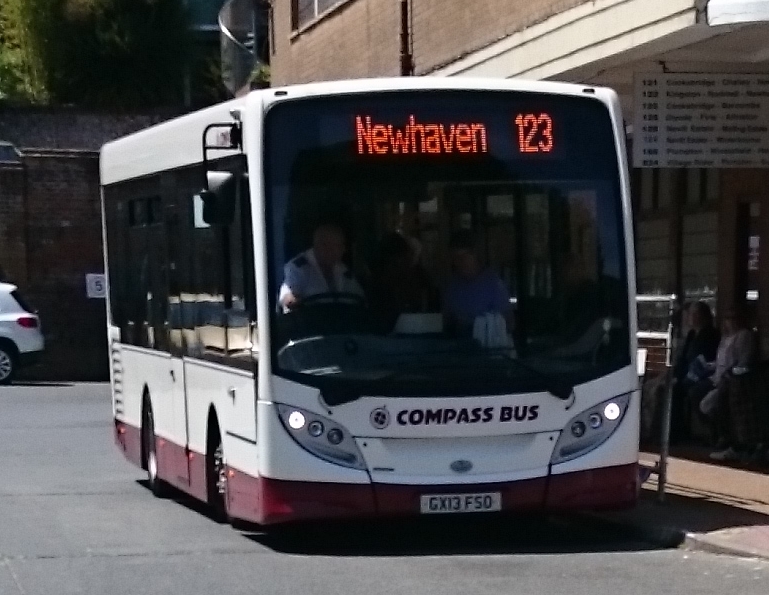 This resulted in a reduction in the services on the 123 bus through the Ouse valley from hourly to two hourly. As many residents know, this revised service had many teething problems such as late buses and/or not turning up and so on. Parish Councils: The Parishes Of the Lower Ouse (POLO) which is an association of parish councils in the area considered the bus service problems at their meeting in June of this year. Rosemary Jefferies and myself both put forward the idea of a working group to look at ways of overcoming the problems. We are hoping that this group will meet in early September. Your County Councillor Carla Butler and I are part of that working group and during the summer she and I have been investigating ways of making sure the service through the Ouse Valley (service 123) becomes a sustainable and reliable service. Sadly, the extended service in Kingston up to St Pancras Green as had to be withdrawn. I will report back on the reasons why to the POLO meeting in early September. Sunday service: For the last two years the National Park have been subsidising a Sunday service through the valley. This service will end in September. Both Carla and I would be interested to hear from people as to whether we should negotiate with the National Park for its restoration. In my meeting with Compass Travel I found out that the cost of running the Sunday bus is not as great as one would image. Food for thought! 130 Bus: As mentioned, the 130 bus from Rodmell is seriously under threat. 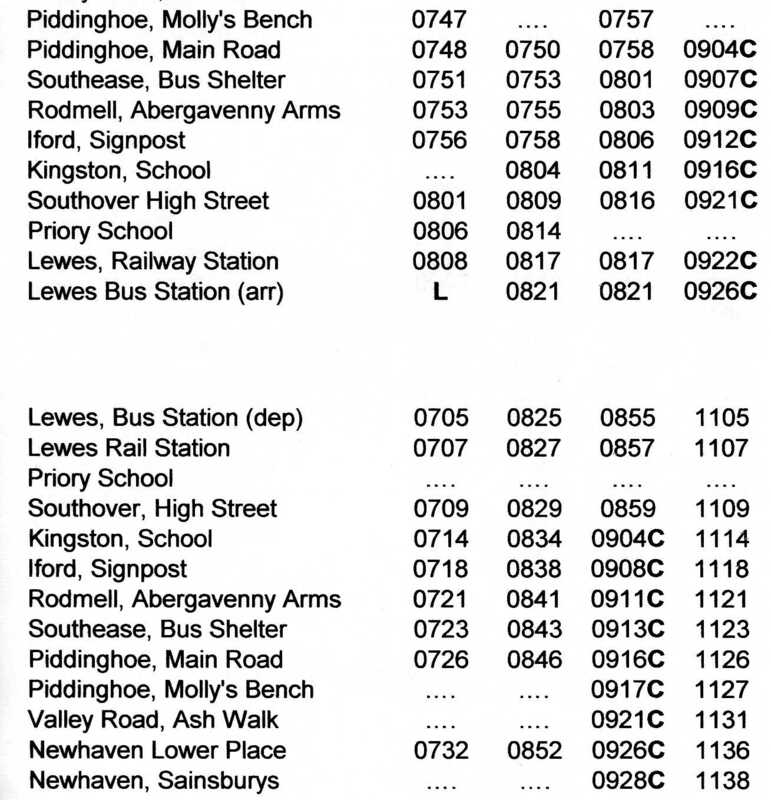 Community Transport (Brighton, Hove & Area) Ltd which runs the 130 bus have appealed to the parish councils on its route including Rodmell, Kingston and Lewes Town Council to consider subsidising the once-a-day service. Rodmell Parish Council will be considering the situation at their meeting on 8 September. They have invited the other parish councils to join them to discuss the situation. If a way forward can’t be found the bus service will cease in September. Further action: Carla and I have been investigating further ways of making the Ouse valley bus service more successful, more sustainable and more reliable. We are hoping to meet with parish council representatives in early September and discuss these and other measures.